Power Cables There are 149 products. 'HOT' C15 to C14 IEC 60320 power extension cables allow connection of active equipment that has a C16 socket, such as a UPS, Servers, PDU's and rack mounted switches. IEC 60320 C14 to C13 extension power cables, available as standard, locking and angled variants, in lengths from 0.30 Metres to 10 Metres. When you need something different in a power cable our range of hybrid cables are what you need. Including standard IEC 60320 connections C13, C14, C15, C19, C20 and 16Amp & 32Amp commando extensions. Our secure tension sleeves help with the prevention of IEC 60320 power extension leads from accidently being disconnected from servers, UPS, PDU's, switches and all types of active networking equipment. 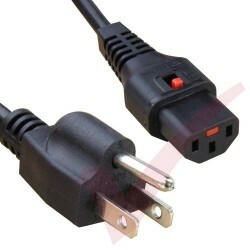 Large range of UK Mains Plug to IEC Power Cables are available next day from our local stock. 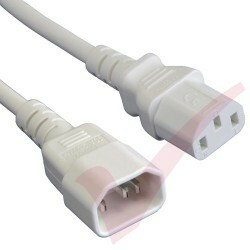 IEC C13 Splitter - UK 13 Amp Plug cables are available in 3x different sizes. 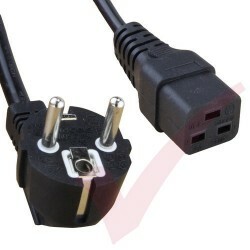 These are commonly used to connect directly from a UK Mains socket to 2x different hardware appliances from the same power source. 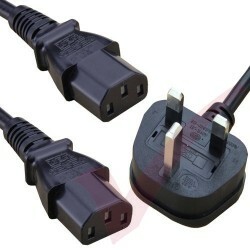 Large range of UK Mains Plug to IEC Power Cables are available next day from our local stock. 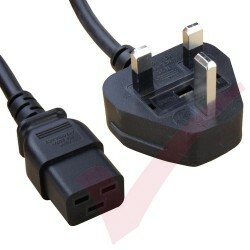 C19 - UK IEC cables are available in 3x different lengths and up to 3x colours. 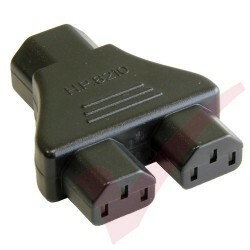 These are commonly used to connect from a UK Mains socket to a UPS System, or directly to active equipment or PDU's with a C20 Plug inlet. Large range of Kettle Extension Power Cables are available next day from our local stock. 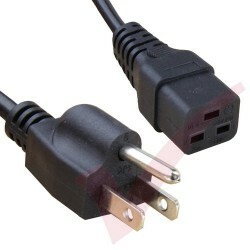 C13 - C20 IEC cables are available in 2x different lengths. 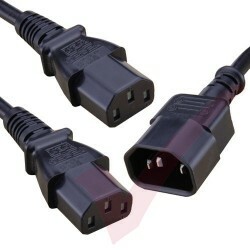 These are commonly used to either extend an existing C19 - C20 power cables, or to connect directly from a Power Distribution Unit (PDU) or UPS to any active hardware and server equipment with C19 outlets.